Our society moves at a fast pace, a fact aptly symbolized by the 70 miles-per-hour in which we speed down our nation’s interstates and highways. At such high speeds, safe driving practices are crucial, especially the need to keep a safe distance between cars. The three-second rule is a time-proven guideline. The rule suggests you first choose a fixed point in the road, such as a road sign or mile marker. Then, begin counting from the moment the car in front of you passes it. Reaching the fixed point in three or more seconds means you are probably following at a safe distance. Passing the point in one to two seconds indicates you are following too closely. “Watch and pray so that you will not fall into temptation. The sprit is willing, but the flesh is weak” (Matthew 26:41). “But Peter followed Him at a distance”(Matthew 26:58). A lot can happen in three seconds. With a properly positioned, well-timed lie Satan can distract or even derail us in three seconds. 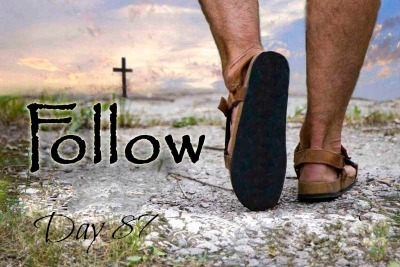 Unlike following a car, there is no such thing as following Jesus too closely. Whether on clear roads or ones made slick by temptation, safe and successful passage in this life comes as we navigate every mile clinging to Jesus and the truth of His Word. It’s a time-proven practice.